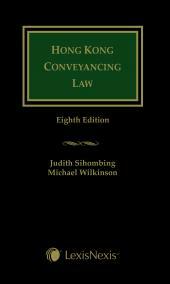 This seventh edition contains extensive and detailed description of developments in Hong Kong conveyancing. 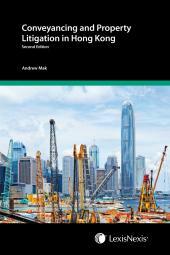 A Guide to Hong Kong Conveyancing, seventh edition, contains an extensive and detailed description of developments in Hong Kong conveyancing. There is now a voluminous amount of local case law explaining and developing the subject, thereby requiring the conveyancing solicitor to keep abreast of significant decisions. The Court of Final Appeal has considered and decided on a number of important issues, and, at least in some areas, certainty has been achieved. However, points of contention remain. 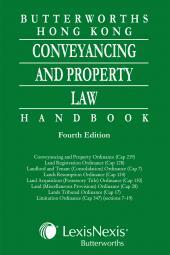 This new edition covers recent judicial review decisions of the Town Planning Board, as well as significant decisions on rescission, trespass resulting in possessory title, clarification of the vendor’s common law duty to hand over original title deeds, as well as the dangers to solicitors assisting clients in small house applications. A Guide to Hong Kong Conveyancing aims to report, discuss and shed some light on these issues, as well as help facilitate the work of practitioners in all conveyancing transactions.